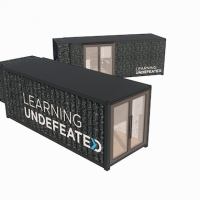 Mobile STEM education is part of Learning Undefeated’s larger strategy to increase student interest in science, technology, engineering, and math (STEM) careers. 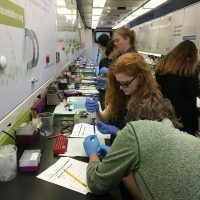 Mobile laboratories (mobile labs) allow us to bring scientific tools and techniques right to the school parking lot, allowing students access to experiences far beyond what many schools can provide. 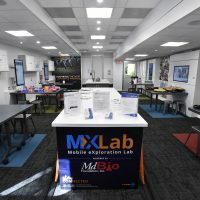 Mobile labs are less expensive than traditional brick-and-mortar labs, and allow us to serve thousands more students each year – we currently see more than 25,000 students each school year. 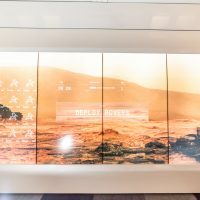 Explore our mobile labs by clicking on the images below. Learning Undefeated is a founding member of the Mobile Laboratory Coalition. This partnership of mobile science laboratory programs supports each other through evaluation, best practices, and curriculum share.